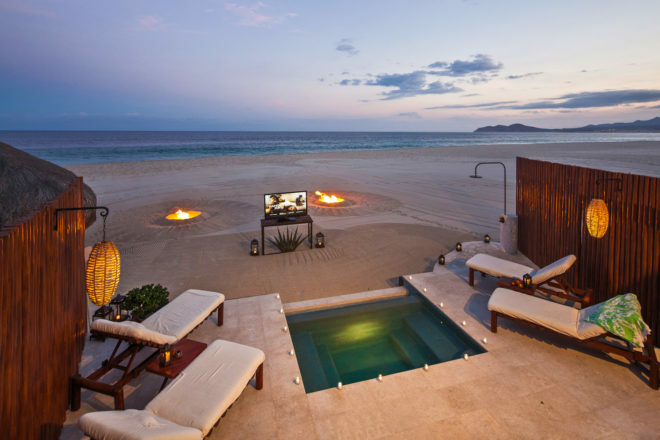 Las Ventanas Al Paraiso, Los Cabos, Mexico. Ranked #24 in our countdown of the 100 Best Hotels and Resorts in the World. Whitewashed Cubist Mexican villas and thatched-roof huts, sun-kissed pools, grounds peppered with palms and unimpeded Pacific Ocean views – you’ll never want to leave and you don’t have to. Everything is here: golf, surfing, tennis, whale-watching, sunset cruises. All suites feature butler service, have Conchuela limestone tiles, marble showers, Mexican mosaics and terracotta fireplaces. Pony up to the funky tequila bar for ceviche and sushi at sunset. The Romance Menu will indulge loved-up couples. Did you know The resort is a favourite hideaway of America’s sweetheart, Jennifer Aniston.